North Korea’s Man in Amsterdam: Who is James Kim? In one corner, the Netherlands: a country where the “safeguarding of fundamental human rights and freedoms” is codified in the nation’s charter. In the other, North Korea: a plein-air prison, ruled for three generations by a despotic family diametrically opposed to virtually everything the Netherlands stands for. So, what’s a restaurant backed by the North Korean regime doing in the middle of Amsterdam? Opened this past December, the Haedanghwa restaurant is on the ground floor of a historic building that, until recently, was a branch of ABN-Amro bank. The eatery is part of a larger corporation called the Haedanghwa Group, owned in part by none other than Kim Jong Il’s sister, Kim Kyong Hui. “North Korea has opened restaurants in many countries across Asia as part of an effort to generate hard currency that flows directly back to the senior leaders in the government through company fronts like Haedanghwa Group,” Phil Robertson, deputy director of Human Rights Watch’s (HRW) Asia division, tells NK News. Naturally, a commercial enterprise related to North Korea’s ruling family comes with what political imagemakers politely refer to as “bad optics.” But, Paul Tija, a Rotterdam-based offshoring consultant who for many years has facilitated business relationships between North Korea and the outside world, cautions against a rush to judgement. Indeed, Heineken and Philips, Dutch companies both, actively export to North Korea. North Korea and the Netherlands do not have a bilateral development relationship, but have had diplomatic relations since 2011. The Dutch Foreign Ministry website warns that North Korea, “which does not observe the rule of law – is notorious for not paying its bills.” Nevertheless, there is “some trade” between the two countries; Dutch businesses export machinery, foodstuffs and agricultural products to North Korea, and are also investing in clothing manufacturing. With a fairly comprehensive slate of international sanctions in the way, the few North Korean insiders that have hard currency to spend – not to mention the ability to spend it abroad – can’t exactly call a broker in Western Europe and set up shop. Any venture using North Korean money requires a local partner willing to act as a public face. The Haedanghwa’s man in Amsterdam has been identified in the media only as a Dutch resident of South Korean extraction – with grandparents from the North – named John Kim. However, sources tell NK News the man behind the man behind the man is, in fact, John Kim’s father, James. Kim’s business card identifies him as the “agent for Jan de Nul N.V.,” a Belgian dredging concern, and Kim is said to facilitate exports of North Korean sand to Singapore. The sand that Singapore has used for land reclamation and construction over the past 50 or so years has left Asian coastlines in a shambles, leading Malaysia, Vietnam, and Indonesia to ban sand dredging. North Korea has only been too happy to fill the void. Kim has been doing business with North Korea, at least officially, for some time. In 2001, North Korea’s state-run news service announced that his HS International was part of a Dutch consortium given exclusive rights to build the North Korean portion of a gas pipeline from Russia to South Korea. The project has been talked about for years, but the tinderbox of a relationship that exists between Pyongyang and Seoul has not yet allowed it to get off the ground. Kim’s name has also popped up in non-commercial contexts in the bizarre “news” items published in the North Korean press. In 2008, KCNA readers were informed that Kim, apparently having been named chairman of something called the International Flower Research Centre, “gave a speech” at a meeting in Pyongyang. 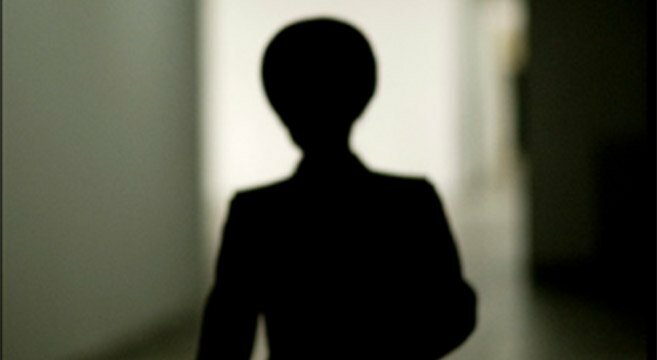 A few years later, another KCNA piece announced that Kim was to receive a “DPRK honorary doctorate of horticulture” for making “a signal contribution to the development of Korea’s floriculture.” A year after that, KCNA once again mentioned Kim by name as one of four “overseas Koreans” arriving in Pyongyang for Kim Jong Il’s 70th birthday celebrations. As the Haedanghwa has only been open since the new year, one might reasonably assume this is the beginning of James and John Kim’s story. Under normal circumstances, it would be. However, very few things involving North Korea are so straightforward. 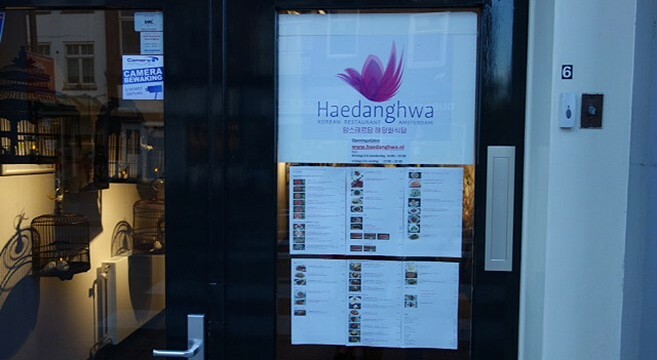 The Haedanghwa, as most North Korea-watchers know, is actually the second North Korean restaurant to appear in Amsterdam in as many years. The first iteration, simply called “Pyongyang,” was closed in September 2012, less than seven months after it opened for business. Remco Van Daal, a partner at the Rotterdam office of PricewaterhouseCoopers, and Remco Hellingman, an Amsterdam hotelier, developed relationships with the North Korean officialdom that sounded a lot like James Kim’s. In 2010, Van Daal showed up in KCNA as the chairman of “a delegation of the Dutch organization for the study of the Juche Philosophy.” A month after that, KCNA announced that “Chairman Remco Van daal and Secretary General Remco Hellingman of the Dutch Group for the Study of the Juche Philosophy” were kind enough to send gifts to Kim Jong Il for the 65th anniversary of the Workers’ Party of Korea. In pursuit of the deal, Van Daal reportedly even went so far as to translate a book authored by Kim Il Sung into Dutch. Of course, none of this mattered when someone within North Korean officialdom decided Van Daal and Hellingman weren’t needed anymore. One day, the workers suddenly claimed they had been ripped off and exploited by the two men, and quit. As Van Daal told the Volkstrant newspaper at the time, he eventually suspected the entire venture was nothing more than a ploy by his North Korean partners to get access to the Netherlands through their employees’ work permits. Van Daal, who did not return repeated requests for comment, told Agence France Presse that he and Hellingman weren’t interested in giving things another shot. “I don’t think we will ever go back to that country,” he said. A full year passed between the Pyongyang’s closing and the opening of the Haedanghwa. One of the waitresses told NK News that the staff are the same as those that walked out of the Pyongyang restaurant. Further inquiries, such as where the staff lived during that time, were met with polite smiles and non-committal answers. “I have permission to live here as long as I’m working,” is all she would say. However, hiring them wasn’t as straightforward as simply transferring their work permits from one place to the other. 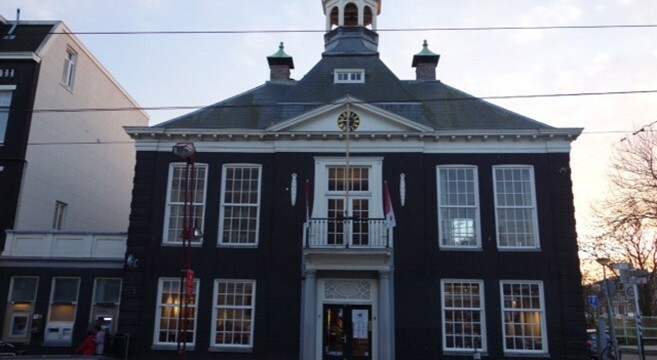 According to Amsterdam paper de Brug, five of the nine staff still did not have work permits as recently as February, and reports have it that a court injunction had to be issued before the doors could open. “If you’re doing business with a sanctioned country, you automatically draw extra attention to yourself,” John Kim said. Subscribe to read the remaining 1479 words of this article.